It was fun talking to Samrajnee Pathare about the CRY America Holi Event. You could be a part of the event too. 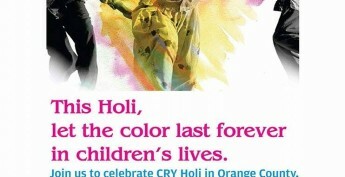 Enjoy the festival of colors , Holi, with CRY America and this for a very good cause too.